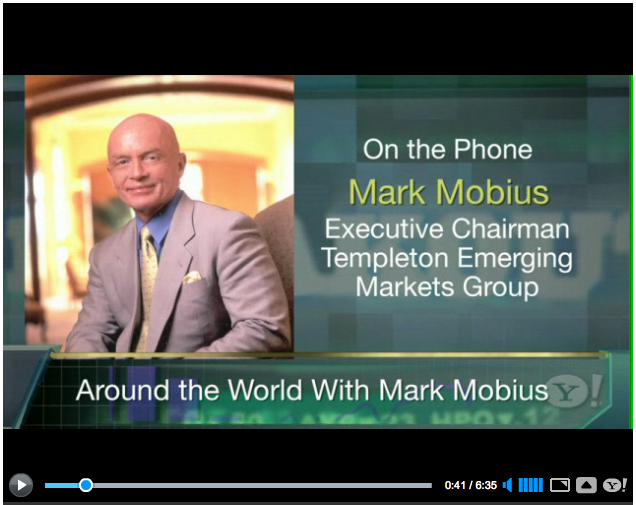 While emerging markets like Brazil, China, and India get a lot of the attention, Templeton Asset Management’s Mark Mobius says smaller areas like Thailand, Indonesia, Chile, Poland, Romania, and Turkey are also intriguing areas right now. Mobius, who remains interested in the larger emerging areas as well, tells Yahoo!Finance’s Breakout that contrary to what some argue, there is a relationship between economic growth and stock market performance. That makes emerging markets the place to be, he says.